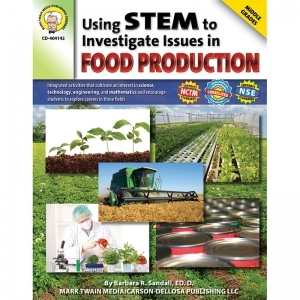 Featuring meaningful integrated activities that cultivate an interest in the fields of science, technology, engineering, and mathematics, Using STEM to Investigate Issues in Food Production encourages students to explore careers in these fields. 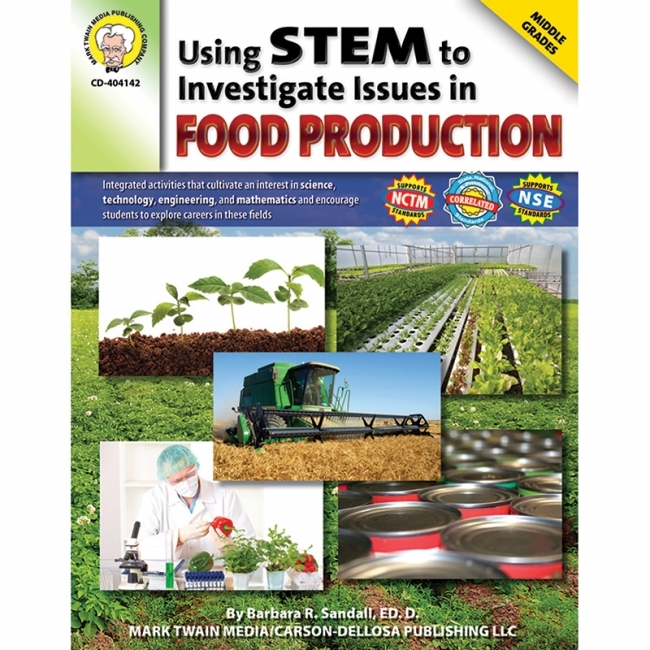 In this 128-page science resource book, students use science inquiry, solve real-world problems, and explore careers in food production. The book includes topics such as: food systems, farming, hydroponics, food processing, and food preservation. It supports National Science Education Standards, NCTM and ITEA standards, and aligns with state, national, and Canadian provincial standards. 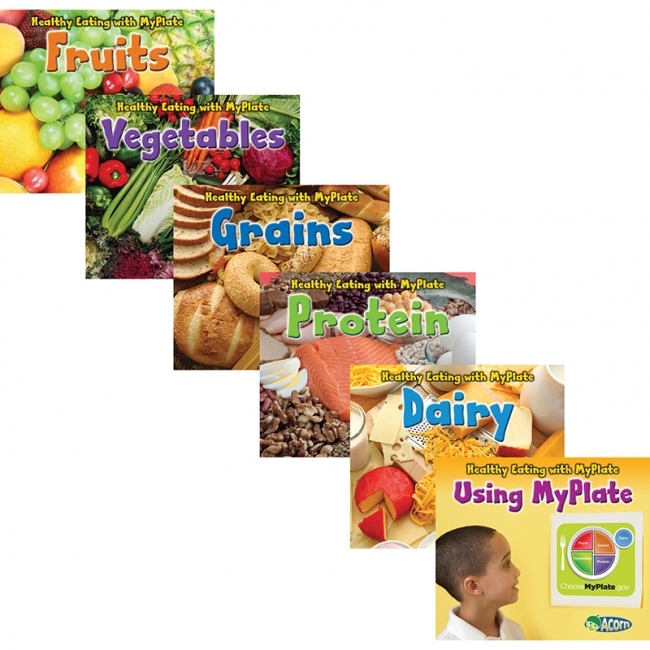 Based on the 2011 USDA MyPlate nutrition guidelines, this book series teaches young children the importance of having a balanced diet inclusive of the various food groups. 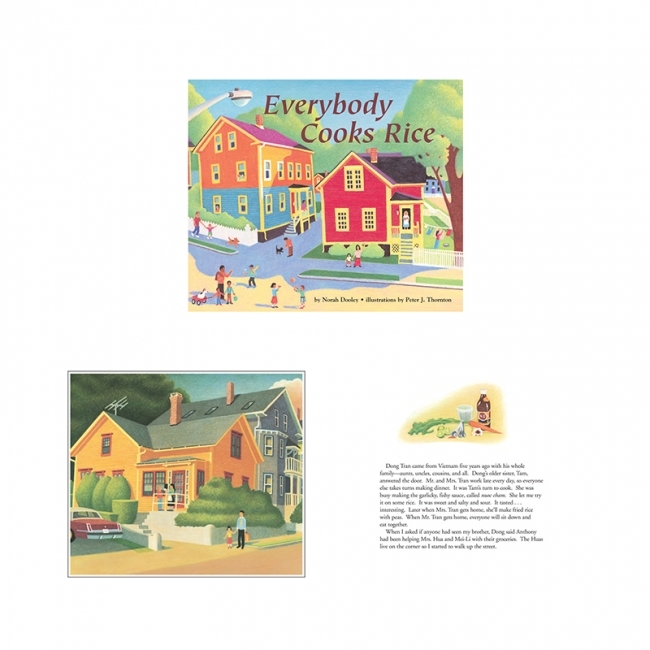 Each book uses simple comparisons to explain that some foods are healthier than others, and gives readers ideas for creating their own meals. Carrie searches for her brother at dinnertime and samples the different rice dishes made in her diverse neighborhood. Recipes included. 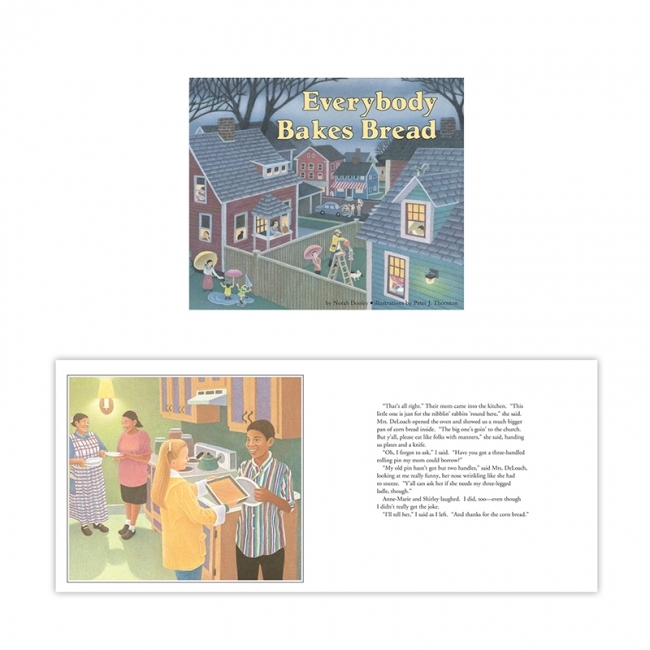 Carrie is sent on an errand, but ends up tasting a variety of breads baked by her multiethnic neighbors. Recipes included. How does milk turn into frosty ice cream? 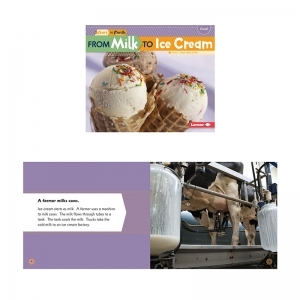 Follow each step in the food production cycle, from milking a cow to eating a frozen treat, in this fascinating book! Offer students a fun, active way to learn about good food choices! 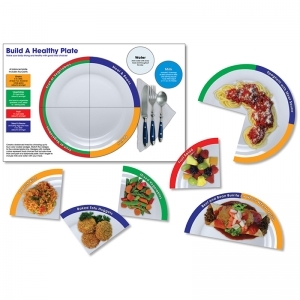 This set emphasizes the importance of choosing balanced meals and demonstrates the simplicity of making healthy, complementary food selections. Designed for multiple uses, the set is equally effective as an introduction to a unit on nutrition, a hands-on activity in a classroom center, or a unique method of encouraging kids to try new foods. Includes an 11" x 17" (27.9 x 43.2 cm) printed placemat, color-coded food cards of varying sizes designed to fit like puzzle pieces on the printed plate, and a four-page teacher guide with reproducibles. 60 pieces. Not all pieces shown. Fun with Food! Today it is so important to teach good nutrition and respect for the environment. These age appropriate activities will provide your students with the information they need while they enjoy learning. Designed for: whole group, small groups and center activities. Includes 96 pages. Fun with Food! Today it is so important to teach good nutrition. Open response investigations explore which foods are rich in fats and carbohydrates, how we keep food fresh, and best choices for breakfast. 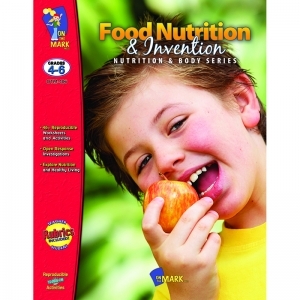 The global nature of food, multicultural food, and food inventions are some of teh other topics covered. 96 pages. The Real Life Learning Fruit Cube Puzzle includes 6 full-color fun facts cards. One side of each card provides a solution guide for the completed puzzle, and the other side lists fun and educational facts related to the picture. This is a great way to reinforce healthy eating habits in a fun and engaging way! The Fruit Cube Puzzle is made from solid wood. Safety tested, lead-free paint (rather than stickers) is used to apply the pictures directly onto the cube, which means no peeling, and helps ensure durability for years of fun. Each side of the puzzle features a slightly different pattern on the border, helping kids get the cubes all onto the correct side. And, every one of our cube puzzles within a category has a different colored border to make sure the cubes don't get mixed up! Putting together puzzles helps to develop the ability to reason, deduce, analyze, and sequence, and directly effects logical thinking and problem solving skills. Physically, puzzles provide practice for hand-eye coordination and spatial awareness. In addition, the twelve 1.5" wooden cubes in the puzzle are great for stacking, building and counting! 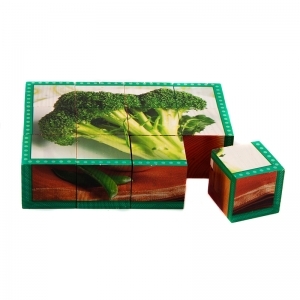 The Real Life Learning Vegetable Cube Puzzle includes 6 full-color fun facts cards. One side of each card provides a solution guide for the completed puzzle, and the other side lists fun and educational facts related to the picture. Taken alone, or along with the other food group puzzles in the Cube Puzzle series, this is a great way to reinforce healthy eating habits in a fun and engaging way! The Vegetable Cube Puzzle is made from solid wood. Safety tested, lead-free paint (rather than stickers) is used to apply the pictures directly onto the cube, which means no peeling, and helps ensure durability for years of fun. Each side of the puzzle features a slightly different pattern on the border, helping kids get the cubes all onto the correct side. Every one of our cube puzzles within a category has a different colored border to make sure the cubes don't get mixed up! The fruit puzzle border is orange, the vegetable puzzle border is green, the protein puzzle border is red, the grains puzzle border is yellow, the dairy puzzle border is blue, and the snacks puzzle border is purple. The Real Life Learning Cube Puzzles includes 6 full-color fun facts cards. One side of each card provides a solution guide for the completed puzzle, and the other side lists fun and educational facts related to the picture. Taken alone, or along with the other food group puzzles in the Cube Puzzle series, this is a great way to reinforce healthy eating habits in a fun and engaging way! Each side of this beautifully photographed solid wood cube puzzle is part of a different dairy product picture... so this is like getting 6 different puzzles for the price of one! The Real Life Learning Dairy Cube Puzzle includes 6 full-color fun facts cards. One side of each card provides a solution guide for the completed puzzle, and the other side lists fun and educational facts related to the picture. 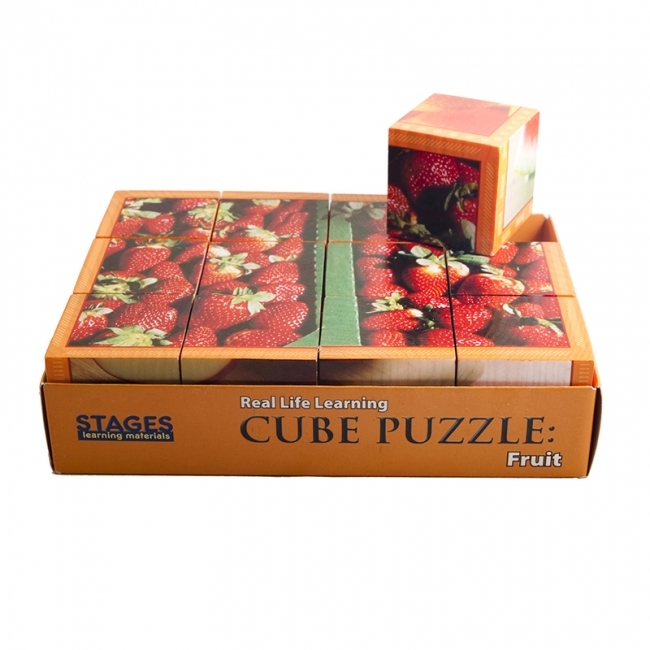 Taken alone, or along with the other food-group puzzles in the Cube Puzzle series, this is a great way to reinforce healthy eating habits in a fun and engaging way! The Dairy Cube Puzzle is made from solid wood. Safety tested, lead-free paint (rather than stickers) is used to apply the pictures directly onto the cube... which means no peeling, and helps ensure durability for years of fun. Each side of the puzzle features a slightly different pattern on the border, helping kids get the cubes all onto the correct side. And, every one of our cube puzzles within a category has a different colored border to make sure the cubes don't get mixed up! 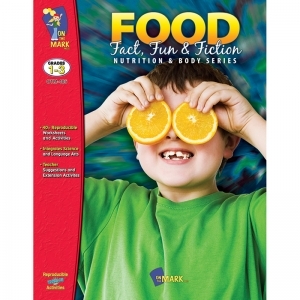 For example, in the foods category the fruit puzzle border is orange, the vegetable puzzle border is green, the protein puzzle border is red, the grains puzzle border is yellow, the dairy puzzle border is blue, and the snacks puzzle border is purple. Putting together puzzles helps to develop the ability to reason, deduce, analyze, and sequence, and directly effects logical thinking and problem solving skills. Physically, puzzles provide practice for hand-eye coordination and spatial awareness. In addition, the twelve 1 .5 inch wooden cubes in the puzzle are great for stacking, building and counting! Each side of this beautifully photographed solid wood cube puzzle is part of a different grain food-group item picture... so this is like getting 6 different puzzles for the price of one! 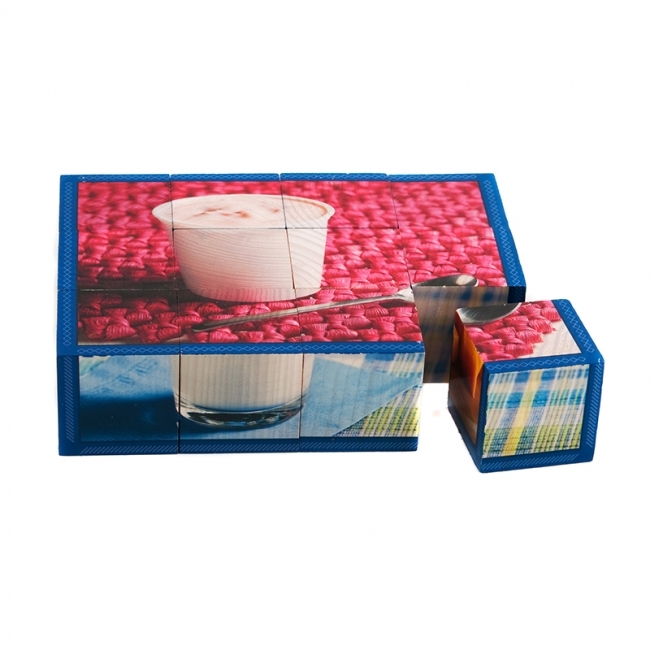 The Real Life Learning Grains Cube Puzzle includes 6 full-color fun facts cards. One side of each card provides a solution guide for the completed puzzle, and the other side lists fun and educational facts related to the picture. 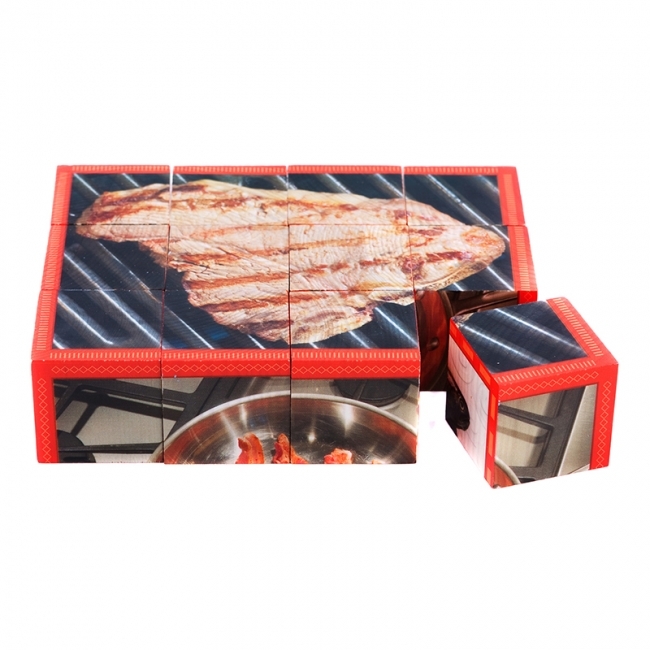 Taken alone, or along with the other food group puzzles in the Cube Puzzle series, this is a great way to reinforce healthy eating habits in a fun and engaging way! 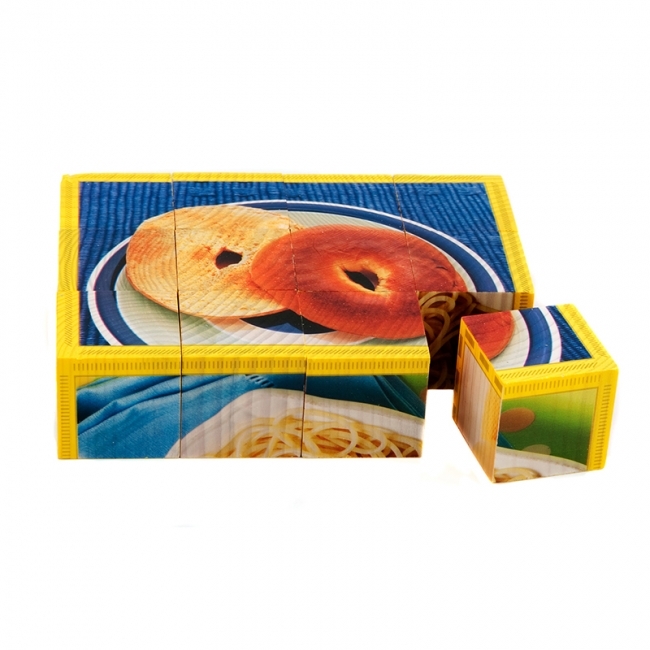 The Grains Cube Puzzle is made from solid wood. Safety tested, lead-free paint (rather than stickers) is used to apply the pictures directly onto the cube... which means no peeling, and helps ensure durability for years of fun. Each side of the beautifully photographed solid wood cube puzzle is part of a different snack picture... so this is like getting 6 different puzzles for the price of one! 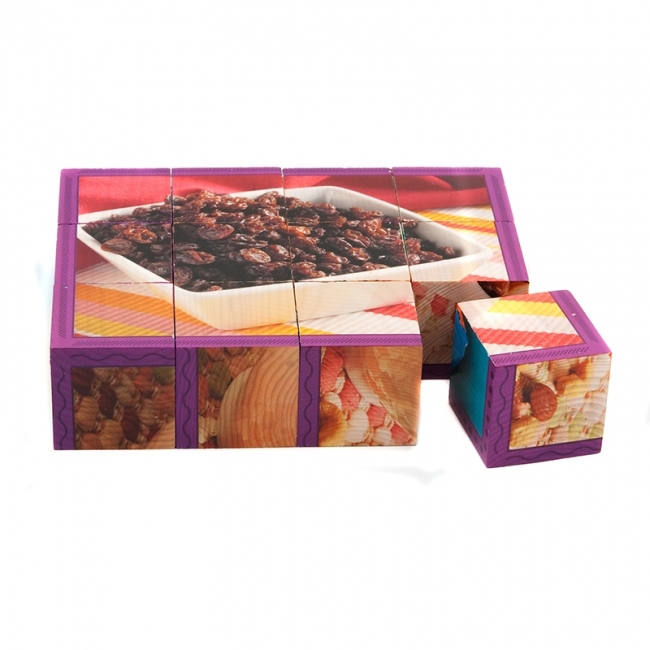 The Real Life Learning Snack Cube Puzzle includes 6 full-color fun facts cards. One side of each card provides a solution guide for the completed puzzle, and the other side lists fun and educational facts related to the picture. Taken alone, or along with the other food group puzzles in the Cube Puzzle series, this is a great way to reinforce healthy eating habits in a fun and engaging way! The Snack Cube Puzzle is made from solid wood. Safety tested, lead-free paint (rather than stickers) is used to apply the pictures directly onto the cube... which means no peeling, and helps ensure durability for years of fun. Brand : AMERICAN EDUCATIONAL PROD. 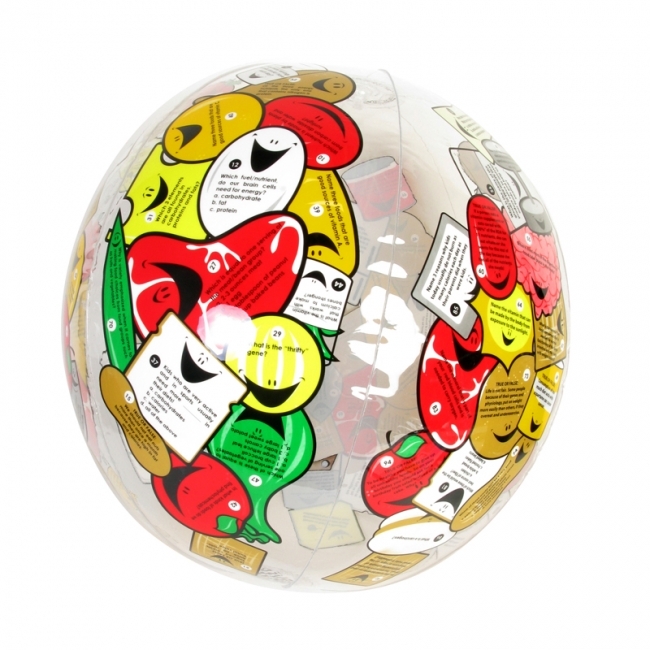 The Food/Nutrition Clever Catch ball is packed full of questions that will help keep your student smart and healthy. This durably built 24" ball will provide years of Nutrition education in the classroom, playground, or at home. Complete answer guide and suggestions for play are included. There's a Clever Catch in town and it fits great with our improved Nutrition Model. 94 questions. Includes repair patch. No latex. Grades 4+, Ages 9+. Basic play for Clever Catch® is simple. Two or more players toss the ball to each other, answering the problem underneath or closest to their left thumb. Each problem is numbered and enclosed in its own space, assuring the child will know which problem to answer. Answers are provided in this insert for independent play by students.